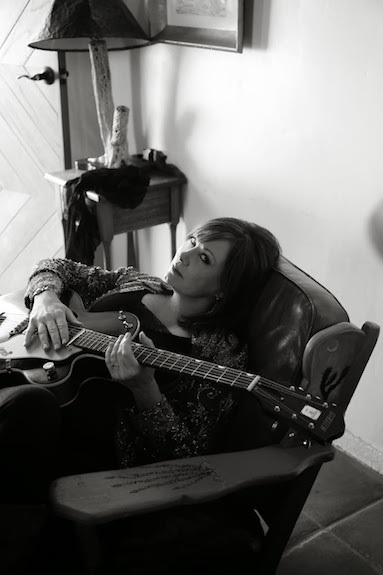 Suzy Bogguss knows a great song when she hears one, and in a career spanning three decades she’s recorded more than a few. As both a performer of her own compositions and an interpreter of works by such esteemed artists as Nanci Griffith (“Outbound Plane”), John Hiatt (“Drive South”), and Guy Clark (“Instant Coffee Blues”), she’s distinguished herself as one of country music’s most eclectic and versatile talents. 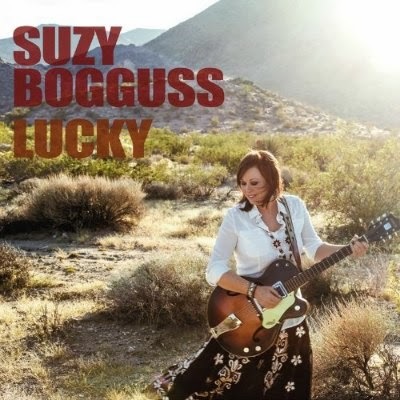 All the while Bogguss gained invaluable insight to matters of craft and storytelling, knowledge which no doubt served her well in making her latest album, Lucky, on which she covers a dozen absolute classics written by the legendary Merle Haggard. Suzy, did you learn anything about Haggard’s songcraft in making this album? I think I learned a ton. I always thought that he was this really gifted, stream-of-conscious [songwriter who] sits down and [the songs] just all pour out, because they sound so simple..… Once you get in there you find all the internal rhymes, the way that he turns it so that it sounds like an aw-shucks person saying it, but it’s absolutely sophisticated. It often takes a lot of work to make something seem simple. Exactly. Honestly, I feel like I’ve been to school. Just as a singer, he really hits me as far as the melodies he writes. I love singing these melodies and some of them were challenging for me, being that he’s a dude. Guys have a different kind of range than females do as far as in the sweet spot of our voices before they thin out. So I had to dig down into some low notes that I hadn’t sung in a long time just trying to make sure that I kept it sounding like it was super-easy to sing. Because that’s the other thing that he does: He makes the melody so it’s very sing-a-long-able but when you actually sing the whole thing you’re trying yourself as a singer as well. Haggard often comes across as such a rugged guy, but his honesty and willingness to be vulnerable is a big part of his songwriting. Your version of “Someday When Things are Good,” coming from a woman, conjures up an entirely different perspective than Merle’s version. The variety of music you’ve made throughout your career—from recording country to jazz, from covering the work of other artists to writing your own songs—had to have provided a good foundation for interpreting these songs. It did. I travel with a lot of these players that are on the record. We’re very in-sync with each other when we get in the studio, and they knew that I was wanting to give this the sort of flavor we have when we’re playing on the road. We tried to get a little bit of some of that flavor in there. I think you probably caught a little jazz in “I Think I'll Just Stay Here and Drink.” I always felt like there was some of that in Merle’s music as well. He had evolved and decided to incorporate some of that into his production through the years, especially in the ‘80s when he was using saxophone a lot. I tried to keep the real organic sounds on the guitar and the steel and everything, not using hardly any effects. 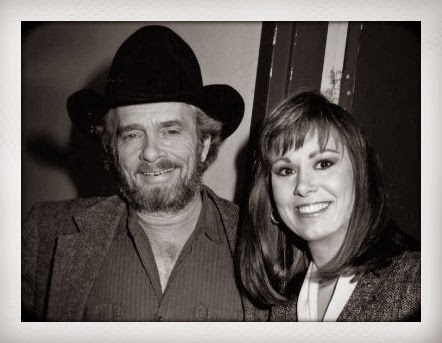 Being that you’ve interpreted songs by the likes of Nanci Griffith, John Hiatt, Guy Clark, and now Merle Haggard, as a vocalist do you engage songs by other songwriters any different than ones you’ve written yourself? I think I’ve gotten a little better at making them my own now. I listen to my version of “Outbound Plane” now and I think, “Oh my God, I totally ripped Nanci off.” I don’t like that feeling.… Even with John [Hiatt’s] version of “Drive South,” I had to sing that thing a million times to come up with a melody line for some of the high parts because he’s completely fearless. He’ll just screech out whatever he wants to, but I don’t sing like that. So I had to just sort of make stuff up to take it where I needed to take it. Overall, what was your biggest challenge in singing Haggard’s songs on Lucky? I wanted them to feel as authentic as when he sings them. 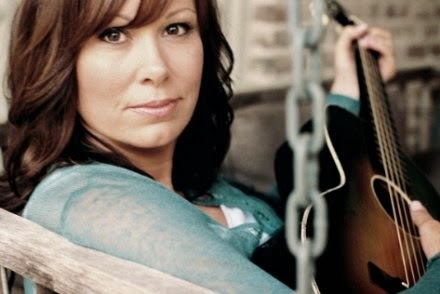 For more information on Suzy Bogguss, please visit her official website.